Socrates is famous for having said that, ?the unexamined life is not worth living.? Disoriented from its context, the line sounds like a pointless platitude, worthy of a refrigerator magnet. But Socrates utters these words in a dialogue not penned by him, but by Plato (according to Plato?s dramas, Socrates did not write anything until the very end of his life). The dialogue is Plato?s Apology, an account of Socrates? trial, where he (quite badly) defends himself against the accusations that he has corrupted the youth (i.e., seduced them to philosophy) and worshipped novel gods. Socrates ends up being convicted and executed, and this all happens in what is considered the greatest democracy of the time?Athens. When Socrates says this line, he is in the midst of claiming that someone will think he is joking if he says that he can?t stop talking and live a quiet life, but rather, that the ?greatest good for a human being? is to ?each day to make speeches about virtue and the rest of the things you hear me conversing about?both examining myself and others?and that the unexamined life is not worth living for a human being?? (Plato Apology 38a). Perhaps the unexamined life is worth living for a non-human being (a god or a monster?)? 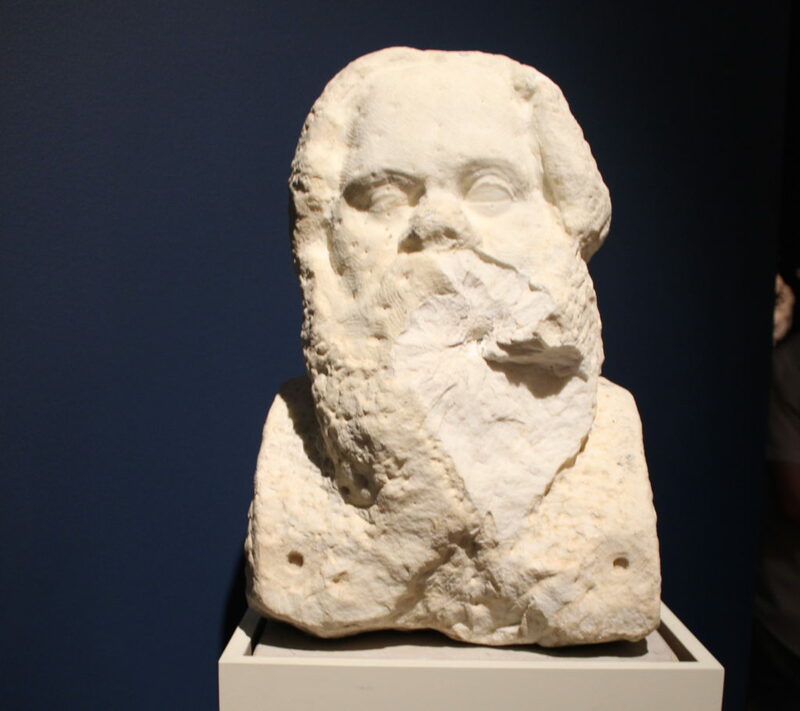 Unfinished Bust of Socrates, National Archaeological Museum, Athens. Elsewhere, in Plato?s Phaedo, Socrates claims that philosophy is the ?practice of dying and being dead,? which leads his friend to wonder if real philosophers must commit suicide (Phaedo 64a). In the context, Socrates seems to mean that philosophy requires access to an unchangeable truth. In its most extreme form, this demands that the truth-seeker, too, cease to change, so that he does not change the truth he sees. To understand ?life? or ?existence? as it truly is will require understanding it from a perspective in which you are not in it. The wish to look at things from a universal perspective swiftly becomes a wish to die.
? Is the unexamined life the dead life? There is a famous tale that Cleombrotus jumped into the sea after reading Plato?s Phaedo. So much for Socratic irony! There are plenty of indicators that Socrates cannot mean that philosophy is literal death, not the least of which is that, if philosophy is the ?practice? of dying and being dead, this practice requires life. Even to utter such a statement will demand that the speaker be alive. 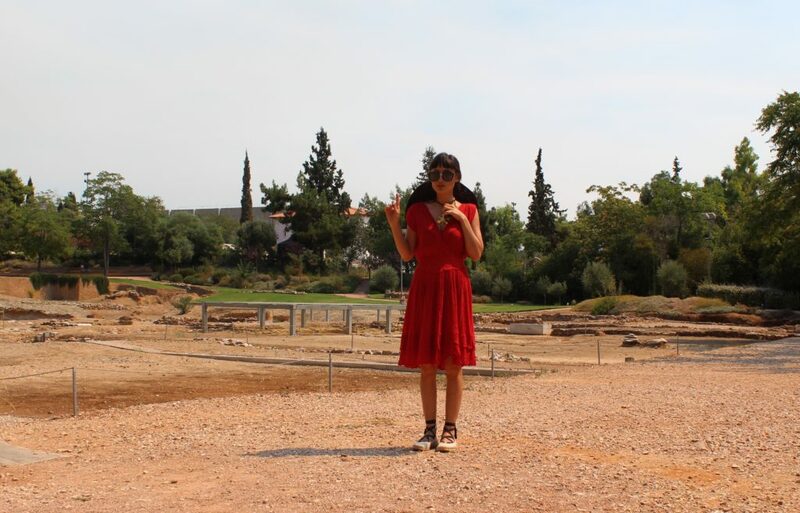 The archaeological site of the Lyceum in Athens. Suicide is a contradiction in terms?an oxymoronic wish for the absence of life that only makes sense if it gives birth to a hyperbole of presence. This would mean that the wish to die is really the wish to live forever, or to be in a state in which one experiences life without experiencing it. Indeed, the unexamined life might be worth living if it were not ?for a human being,? but rather, if it were the negation of the human being in the perfection of a god. So what, then, does Socrates intend? Without going into gruesome detail, a beginning might lie in the negative formulation of the statement? ?the unexamined life is not worth living.? In the negative formulation, Socrates succeeds in a magnification of the positive. The complete denial of the unexamined life as not worth living is more potent that the positive assertion that the examined life is worth living. Why does the negative present itself as more all encompassing than the positive? If there were a pleasure to the act of negating, this might be similar to the desirability of seeing the world through the perspective of one?s absence?the lens of ?no one.? Socrates would have, then, hit upon not the intelligibility of suicide, but rather, the morbid fascination that human beings have with the mystery of life?a mystery that you (perversely) have to be alive to appreciate.